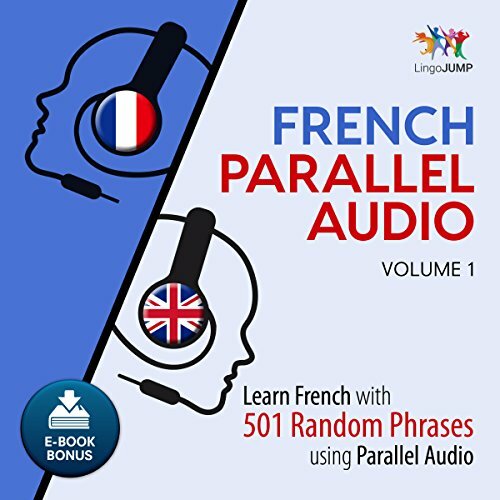 We've specifically developed our language courses for audio learning, so you can complete other tasks while learning French. You can learn while you are running, working out, walking, driving, or even when you are doing chores. Our parallel audio learning system teaches you wherever you are, without requiring a reference manual. Immerse yourself in a new language with confidence - we're here to get you talking using phrases that you'll learn with ease through parallel audio. Our speakers follow a specific speech pattern throughout the audiobook, making phrases predictable and helping you understand words and phrases through context. We keep you solely focused on the language, without any distracting background music. If you have any questions about this product by Lingo Jump, contact us by completing and submitting the form below. If you are looking for a specif part number, please include it with your message.